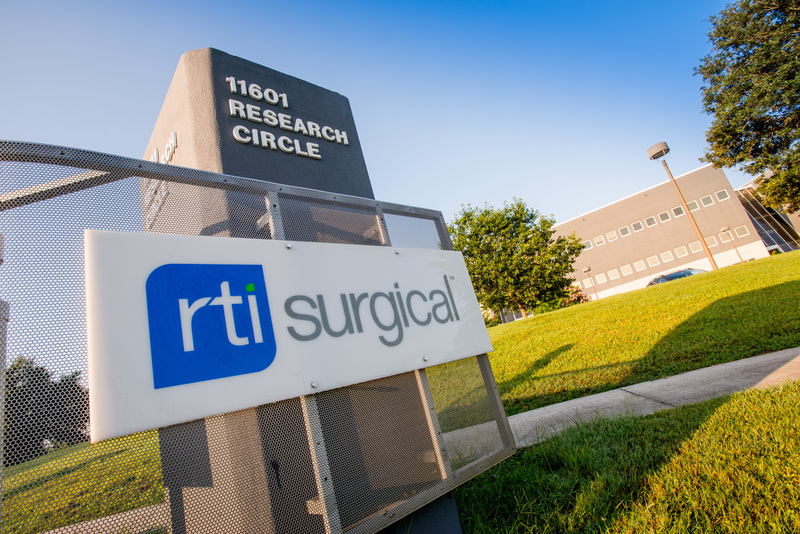 RTI Surgical® Applauds Blue Cross and Blue Shield of Alabama’s Positive Coverage Decision for Minimally Invasive Sacroiliac Joint Fusion Surgery - RTI Surgical Holdings, Inc.
Deerfield, Ill., April 4, 2019 -- RTI Surgical Holdings, Inc. (Nasdaq: RTIX), a global surgical implant company, applauds Blue Cross and Blue Shield of Alabama (BCBSAL), the largest provider of healthcare benefits in Alabama, for issuing a positive coverage decision for minimally invasive sacroiliac (SI) joint fusion surgery, effective March 18, 2019. This decision expands access to RTI’s SImmetry Sacroiliac Joint Fusion System for appropriate BCBSAL members considering treatment for SI joint pain or dysfunction. The SImmetry System is a minimally invasive surgical solution that uses proprietary decortication technology, bone graft and threaded fixation to facilitate bone fusion, providing an opportunity for long-term pain relief. For more information, please view the BCBS Alabama final Sacroiliac Joint Fusion policy. i Araghi, A, et al, Pain and Opioid use Outcomes following Minimally Invasive Sacroiliac Joint Fusion with Decortication and Bone Grafting: The EvoluSIon Clinical Trial. The Open Orthopaedics Journal, 2017, 11, 1440-1448.
ii Cross, WW et al, Minimally Invasive Sacroiliac Joint Fusion: 2-year Radiographic and Clinical Outcomes with a Principles-Based SIJ Fusion System. The Open Orthopaedics Journal, 2018, 12, 7-16.
iii Araghi, et al. Minimally Invasive Sacroiliac Joint Fusion Surgery with Decortication and Threaded Implants: Analysis of EVoluSIon Study. Presented at ISASS 2018.